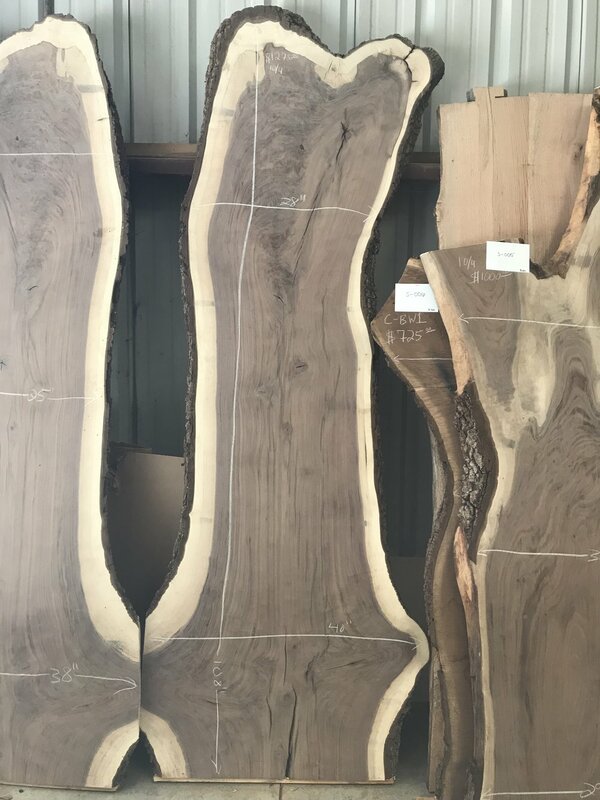 Below are a few of the Live-edge slabs we currently have available. If you are interested in other Live-edge slabs, you are welcome to make an appointment to visit our shop in Comer. All slabs can be purchased as is and we will plane them before shipping or we can transform it into the piece you are envisioning.